Ground up Prices, let us build your garage. We do everything including the foundation. Our Crew arrives a day break to start the installation of your new garage. 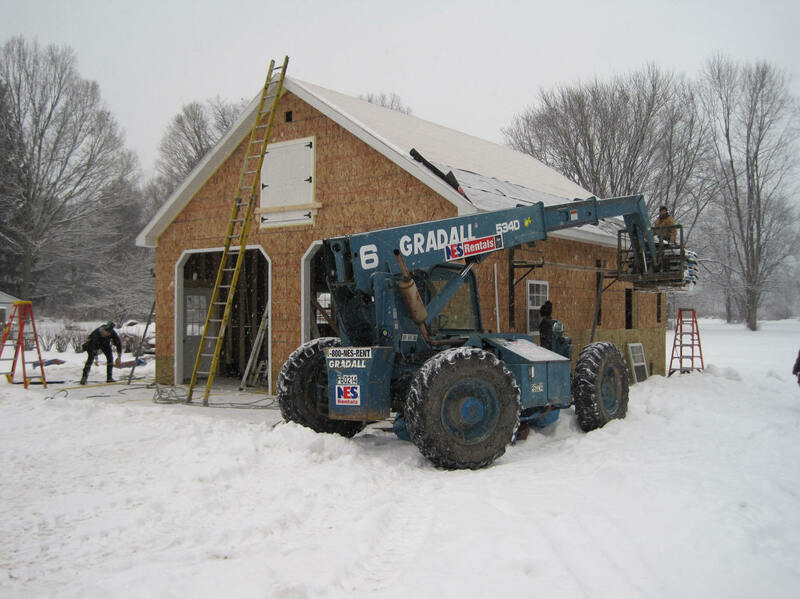 We build all year round. Below is an average garage with some typical features. $14,875.00 - You chose Vinyl Color, roof and trim color. Entry door and window placements. -4"Concrete Pad (Floor) Correct Drainage. (min. 4" crusher run w/ vapor barrier compacted). -3500 psi concrete, Re bar ties and stirrups to specification. -Power trowel finish provides a smooth floor. -PVC sweep for electrical connection. 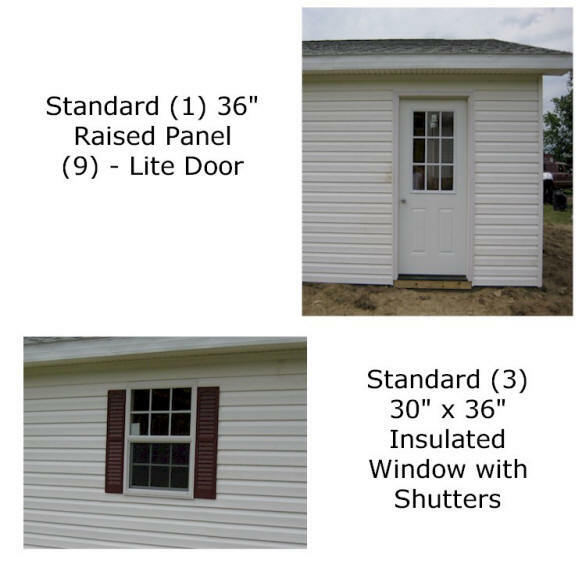 -(3) 30" x 36" Single Hung Thermal-Insulated Windows (6 over 6) lite with Shutters (Your Approval Required). Price with Monolithic Slab including Site Plan, Permits and Finished Grade. - BUDGET OF $41.00 PER SQUARE FOOT - is average. Excavation is the variable. Price with Footer (16") and Block Wall Below Frost Line and Poured Floor Including Site Plan, Permits and Finished Grade - BUDGET OF $40.00 PER SQUARE FOOT - is average. Excavation is the variable. We can start in (3) weeks. 20% Down then half due when concrete is finished and the balance upon completion of building. 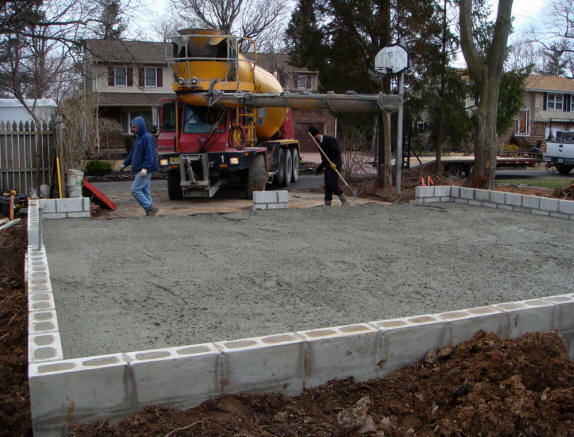 you can act as the General Contractor and get the permits and site ready with concrete. We would come in for the wood part and build. Lets Recap- Building is $27.00 a square foot, Site work and Foundation is $13.00 a square foot. Higher walls, steeper truss, attic, stairs, Dormers all add to square foot price. Also we give a package discount so when you figure out the cost call and we can give the final quote with package discount! OPTIONS...Making the garage your own. 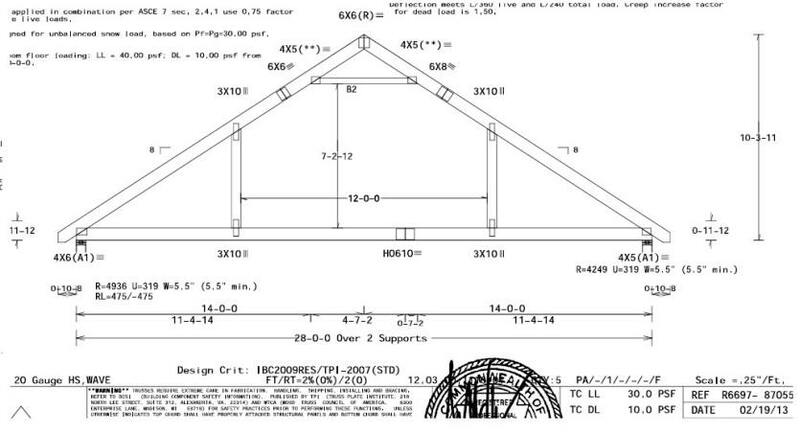 Our Standard truss is a 4/12 pitch (no attic). Many folks choose a steeper roof pitch. This allows for an attic option. 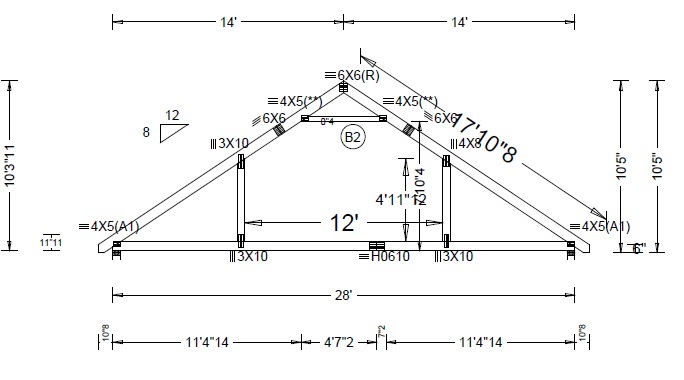 Our Truss manufacturer designs each truss specifically for your garage. Attic truss's like these recent examples can be add to create an extra space upstairs complete with stairs and a floor.